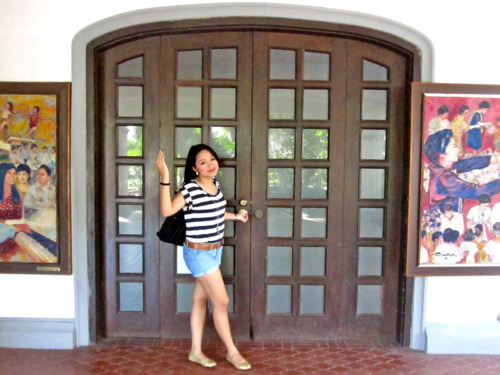 Posted on July 7, 2011 by Mia G.
I was not so much of a fan of visiting churches as tourist spots… until Paoay took my breath away! It was more than just beautiful. It allowed me to commune with the historic past of the Philippines and more importantly learn new things in the process of acquainting myself with the history of this church. Catholic churches represent a significant stature in Philippine culture. 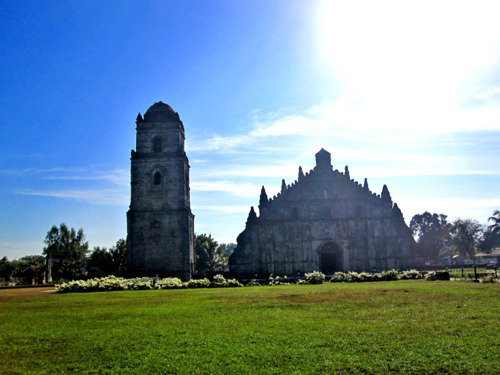 Paoay is just a few minutes away from the heart of Ilocos, which is Laoag. 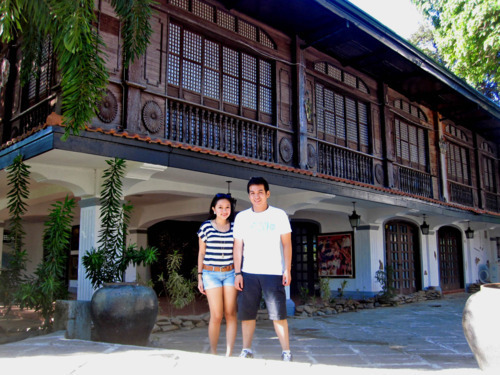 And it was a great thing that we decided to stop over Paoay before heading to the famous town of Vigan. 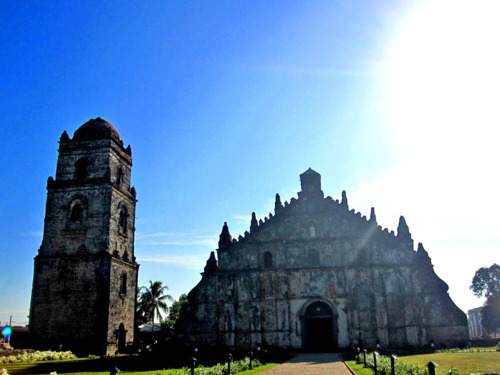 Ilocos features lots of huge, voluminous Catholic churches made out of volcanic rock. Due to Spanish colonization, churches became a necessary structure as it was required to be built in the heart of every town as it was the foremost source of power when the Catholic Church dominated over the people back then. To get a feel of this and get first-hand experiences on this, we visited the famous St. Augustine Church of Paoay, or more popularly known as the Paoay Church. 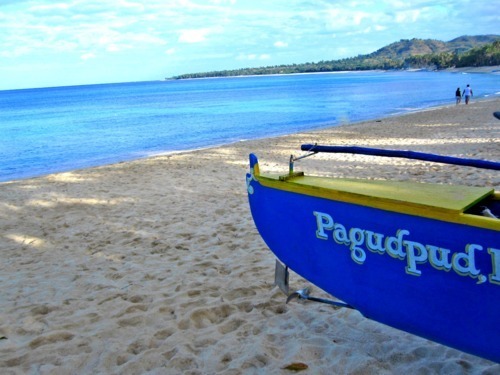 Posted on July 5, 2011 by Mia G.
And so we had to bid goodbye to the beautiful seascapes of Pagudpud as we hopped on a non-airconditioned provincial passenger bus priced for 60 PHP for a two-hour ride to Laoag. The ride was very different compared to riding an non-airconditioned bus here in Metro Manila. Riding buses in the provinces seems to be more rewarding as you get random treats like beautiful sceneries while unpolluted, cold, fresh air happily greets your face along the way. Bus conductors happily helped out passengers boarding and alighting the bus as they assist you especially if you had heavy luggages or grocery items to bring. 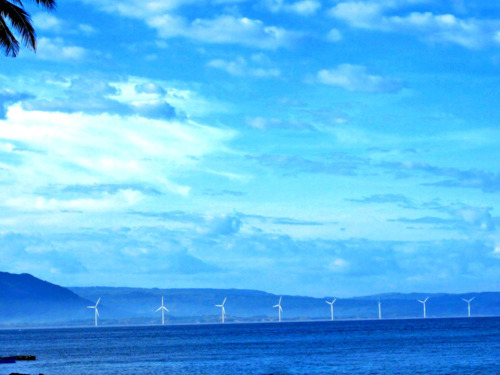 It was nice to observe how nice the people in Ilocos actually were. It’s very different from Manila, where you are most of the time scared to board a bus, and most of the people riding in transit are rushing their way to somewhere, more often than not. In Ilocos, buses seem to be happy places where people can convene, meet, and share their random stories with each other. It was different. It was very much a happy culture. After two non-traffic hours accompanied by the fresh and cold breeze of Ilocos, we arrived in Laoag. We took a tricycle going to La Elliana Hotel to check in. And then we immediately left the hotel to explore what Ilocano food Laoag can offer us. Off we went to Saramsam Cafe, an authentic Ilocano restaurant. (I have to make a separate blog about Ilocano restaurants and Ilocano food. It was that good!) After eating, we took an immediate stroll and walking tour around the kalesa-filled city. Pretty much, Laoag is a more progressive town compared to Pagudpud. 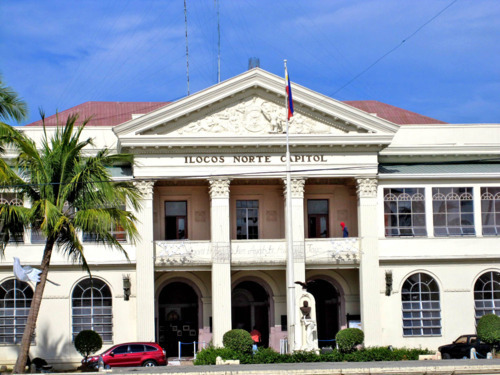 Most of Ilocos Norte’s businesses can be found in Laoag, that’s why there seems to be less of a provincial feel about it. 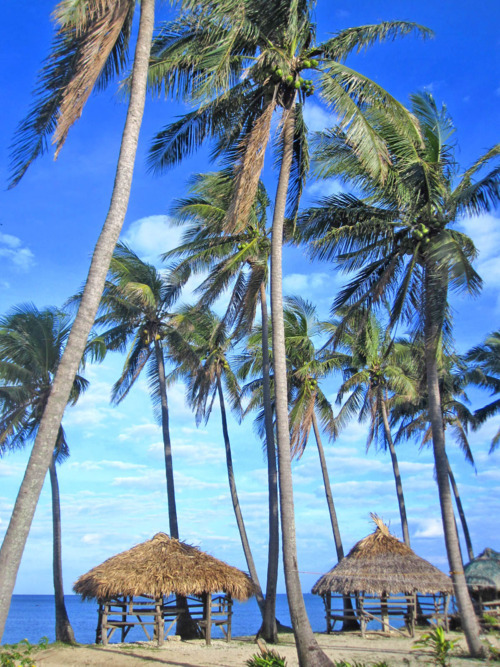 But nevertheless, Laoag must be recognized for its city’s culture and atmosphere. 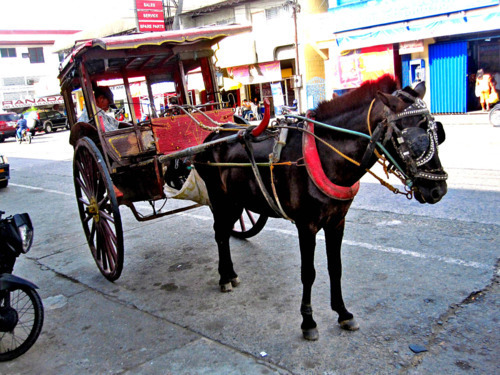 Laoag is commendable for laid-back walking tours as there is no need to rush in going from one point to another. 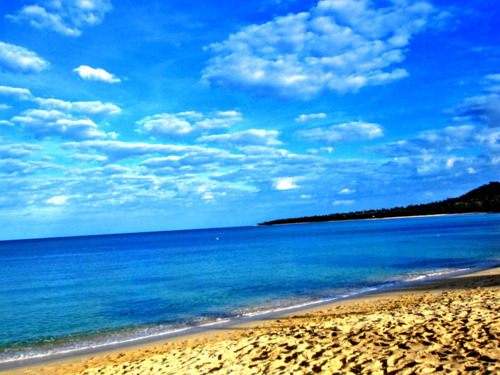 The major tourist spots are readily walkable and are in close proximity with each other.